“Altera Pars” kennel is officially registered with RKF/FCI. 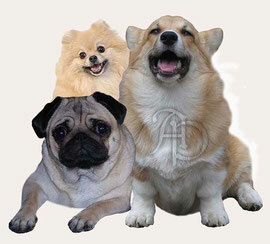 We are the members of the pug, spitz and welsh corgi pembroke National Clubs as well. 25 years of experience in dog breeding. On our website you will find complete information about the stud dogs used in breeding and photos of the puppies born in our kennel. All our dogs are provided with proper care: quality food, regular walks and no lack of communication. 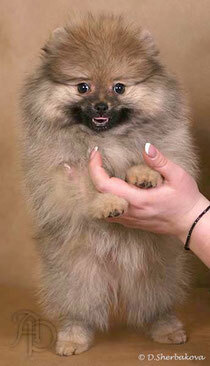 The breeding in our kennel is being carried out according to the standards of The Russian Cynological Federation. Puppies born in our kennel have names with “ALTERA PARS” prefix. On the website page “Puppies For You” anyone may always find full and authentic information about origin of the puppies and the photos of the very puppies offered for sale. We have the staff to show! - We take requests for puppies. - We tattoo and register puppies which are not younger than 45 days old. - We hand puppy over after it has reached the age of 8 weeks. - At the moment of transfer puppy has tattoo and first vaccination. - Along with a puppy the future owner receives documents: Metrics (to be exchanged for Pedigree) and International Veterinary Passport with the confirmation of the first vaccination. - The Contract can be signed (upon request of the future owner). - 24 hours’ a day support and consulting are guaranteed. If you choose your first dog visit our “Articles” page. I will be glad if you find useful information there. © Вся опубликованная на сайте информация является собственностью владельца питомника "Альтера Парс". Копирование материалов возможно только с письменного разрешения владельца с указанием активной ссылки на источник.